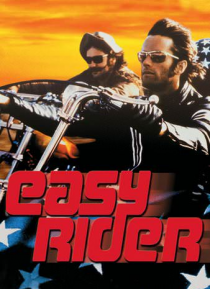 Wyatt (Peter Fonda) and Billy (Dennis Hopper), two Harley-riding hippies, complete a drug deal in Southern California and decide to travel cross-country in search of spiritual truth. On their journey, they experience bigotry and hatred from the inhabitants of small-town America and also meet with other travelers seeking alternative lifestyles. After a terrifying drug experience in New Orleans, the… two travelers wonder if they will ever find a way to live peacefully in America.